The Justice Ministry is working in an accelerated manner on completing the documentation for former PM Nikola Gruevski to be extradited from Hungary. “However, we cannot say when exactly it will be completed and sent to Budapest. We cannot provide more information about the situation because of the sensitivity of the materials. There are legal grounds for Macedonia to file an extradition request: the European Convention on Extradition and Law on International Cooperation in Criminal Matters,” the institution stated on Monday. The same day, the Foreign Ministry presented a diplomatic note of protest. 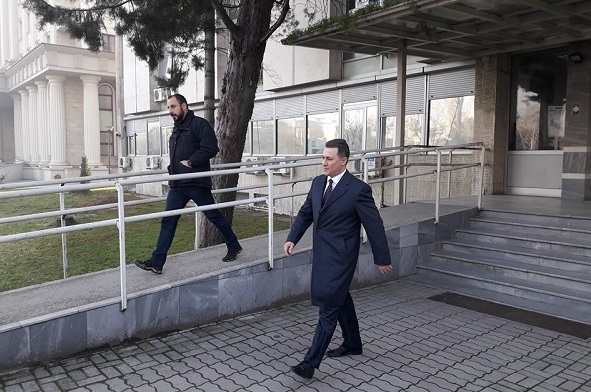 “Today, the Ambassador of Hungary to the Republic of Macedonia, Laszlo Dux was summoned to the Ministry of Foreign Affairs for a meeting with State Secretary Viktor Dimovski. The purpose of the meeting was to present a diplomatic note of protest from Macedonia to Hungary regarding the latest information related to the flight of Nikola Gruevski and his asylum application to Hungary. On this occasion, State Secretary Dimovski voiced hope that in this case Hungary will act in the spirit of good bilateral relations and European values and principles related to the rule of law, and in that context, will immediately and without delay reject the asylum application of the convicted fugitive Nikola Gruevski and will deliver him to the Republic of Macedonia to serve his sentence and for the continuation and completion of the remaining court proceedings against him,” the Ministry said in a press-release. 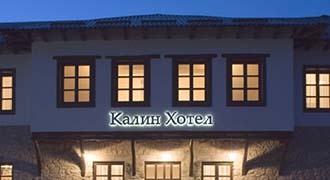 The Judicial Council expressed concern over the Gruevski case. “Because public information has been presented about potential oversights in the action of the Criminal Court, we inform the public that the Council is taking all activities in accordance with the law,” it said. According to Montenegrin FM Srdjan Darmanovic, his country acted towards Gruevski like it acts towards all foreign citizens because it didn’t have information that he is wanted for a committed crime or to serve jail time. “At the time when he decided to seek asylum in Hungary and when the Hungarian diplomats decided to give certain services to him, Gruevski wasn’t on an INTERPOL warrant, nor there were some signals issued by Macedonia that would made it known to the other countries that he is a person outside the law,” he pointed out.